The gloves having snap-on cleaning pads include a front cleaning pad and a rear cleaning pad. 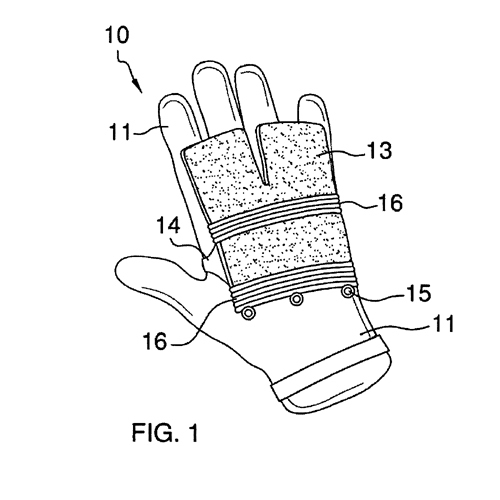 Both the front and the rear cleaning pad are capable of contouring the knuckle regions of the hand, and attach to the glove via a plurality of snap buttons and/or nylon hook and loop fasteners. The front and rear cleaning pads are disposable and are made of a scouring material such as metal wool. The gloves themselves are made of a waterproof material such as rubber or latex.